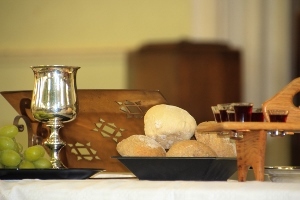 Audio recordings of sermons are now available on the ‘Recent Sermons’ page of our website. Click here. 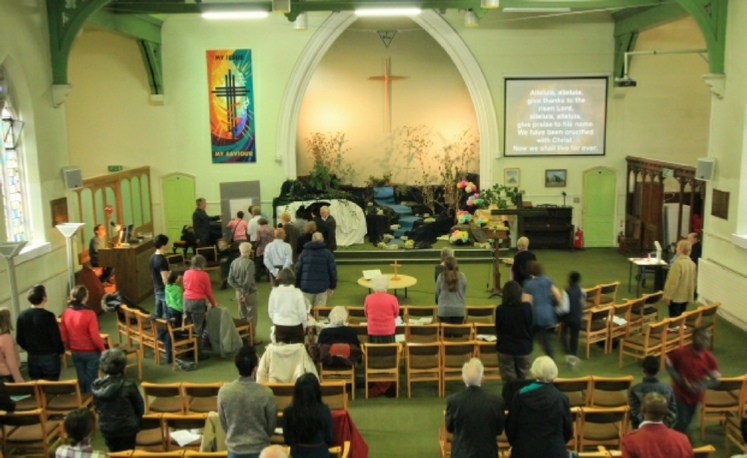 Trinity Church is a community of ordinary people who live in and around North Finchley, and who want to be true to Jesus in the way they live their lives. 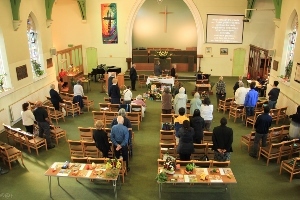 We aim to be an inclusive community, welcoming people from a wide range of backgrounds. We hope that all would find a welcome among us. We enjoy being a group of people who have different experiences of what it means to follow Jesus, and believe that the adventure of Christian faith is a life-long discovery. 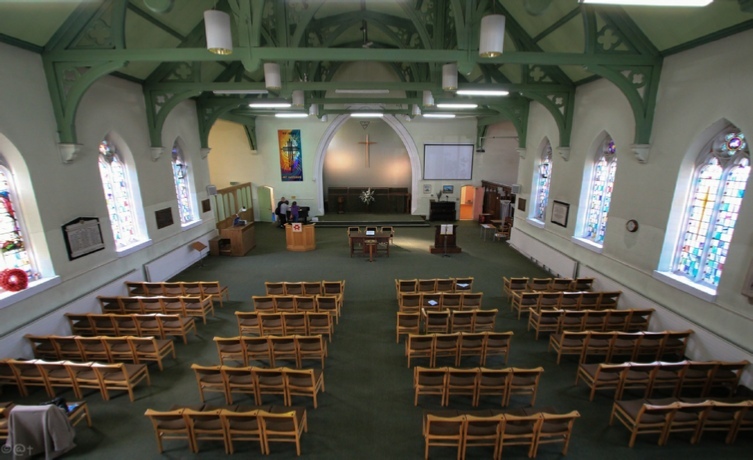 Trinity Church is a Local Ecumenical Partnership belonging both to the Baptist Union of Great Britain and the United Reformed Church. 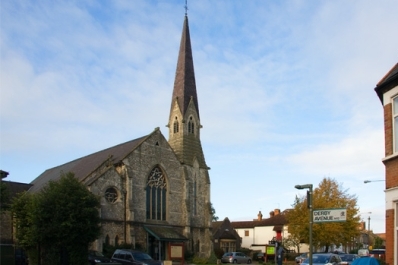 We are set in the heart of North Finchley, and make our premises available to a large number of community groups from the local area. All are invited to join us for worship each Sunday at 11 am. To find out more about our services click here. Our Easter display this year had us looking out from the inside of the tomb with the figure dressed in white, seeing the women looking in and finding the tomb empty. Projected words scrolled on the wall, proclaiming the Easter gospel in English and Farsi, with daffodils bursting into flower around the cross.